The 260E reduces breakage and damage. DELIVERING the fastest travel rates of any comparable conveyor, Heat and Control's new FastBack 260E brings all the advantages of horizontal motion conveying to producers of products requiring high transfer speeds. The 260E is suitable for frozen French fries and vegetables, snacks and baked products, and even cut lettuce and fresh vegetables. In the case of potato chips, its high-performance design doubles product throughput, transferring product at 40ft/min (12m/min) compared to 20 ft/min (6m/min) on competitive conveyors. While its higher throughput increases productivity and overall packaging line efficiency, the FastBack 260E still provides quieter, less damaging and far cleaner conveying than vibratory conveyors. The hallmark of FastBack's gentle horizontal motion is that it reduces product breakage and damage, and eliminates product segregation and "sifting" of product where smaller pieces settle to the bottom of the pan. * Single side access to the drive components allows tight side-to-side conveyor installations. * Unitised drive assembly can be quickly changed without removal of the pan or top cover. 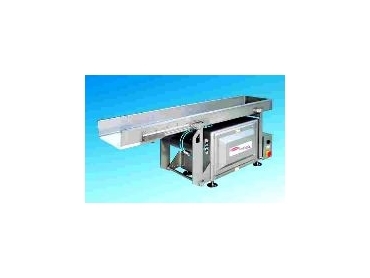 * Different pan widths/lengths can be used with the same drive, assuring that the conveyors with not become obsolete. * Fewer moving parts reduce maintenance and downtime, and spare parts inventory. * New robust drive design supports 30% higher pan weight capacity, allowing longer pans to be used with only a single drive. * New drive can be retrofitted to an existing FastBack pan, increasing throughput without the cost of a completely new conveyor.